Seagrass meadows are made up of a group of flowering plants that are unique in their ability to thrive submerged in salty seawater.As ecosystem engineers they create habitat and produce food for countless species, sequester a remarkable amount of carbon, and help maintain the health of neighboring estuaries, mangroves, coral reefs, and other ecosystems. They are home to commercial fisheries, which provide food for billions of people. Every hour we are loosing two football fields of seagrass. 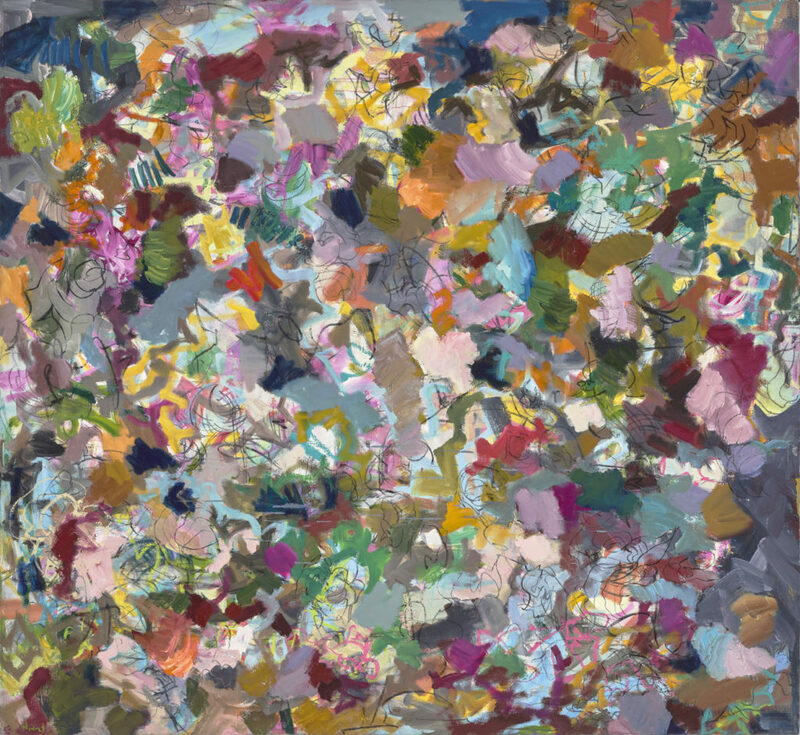 Nedret Andre’s colorful abstract landscapes are inspired by the sensations of life within seagrass beds; the color, the energy, and interconnectedness of species. Through her research and collaborations with marine ecologists, Andre distills marine ecosystems knowledge into an abstract visual language of her own. Her bold brushstrokes and graffiti like line work expresses the dynamic tension life and loss. Nedret Andre is a Boston-based artist who has been reviewed in Art New England and ArtScope Magazine. 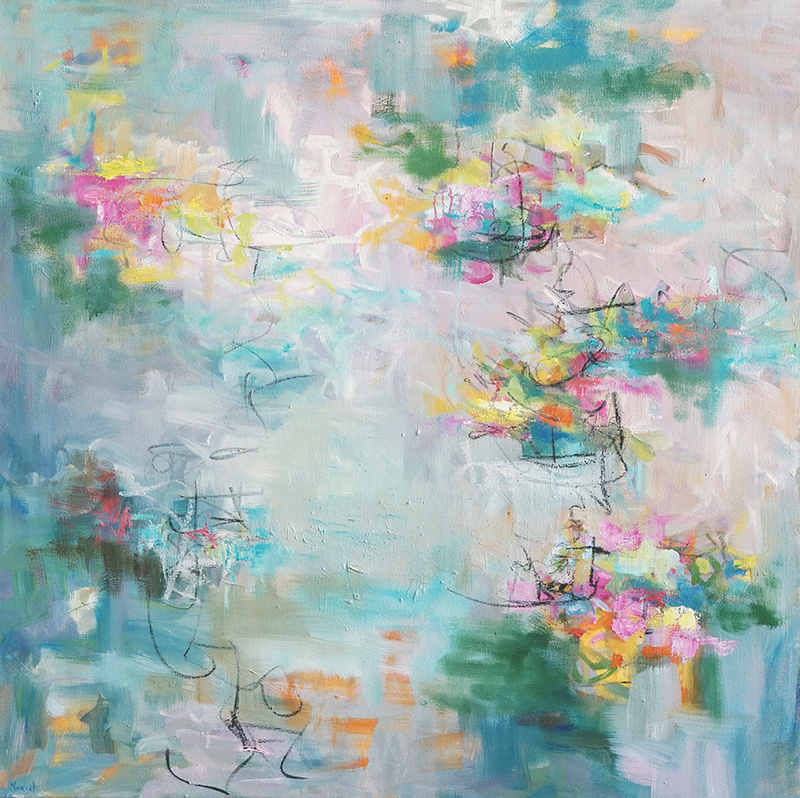 She received her BFA in Painting at Massachusetts College of Art, and her MFA from Maine College of Art. Andre has had solo shows at Beacon Gallery, Chashama Spaces NY, Enso Gallery, Artlery, Boston University, Stetson Gallery, Touch Gallery, and Atatürk Cultural Center in Istanbul, Turkey. She has been included in group shows at Monmouth Museum NJ, Danforth Museum, MA, Walsingham Gallery, Carole Calo Gallery, Soprafina Gallery, Kingston Gallery, Her work is in collections in the US, Switzerland, the UK, and Turkey. 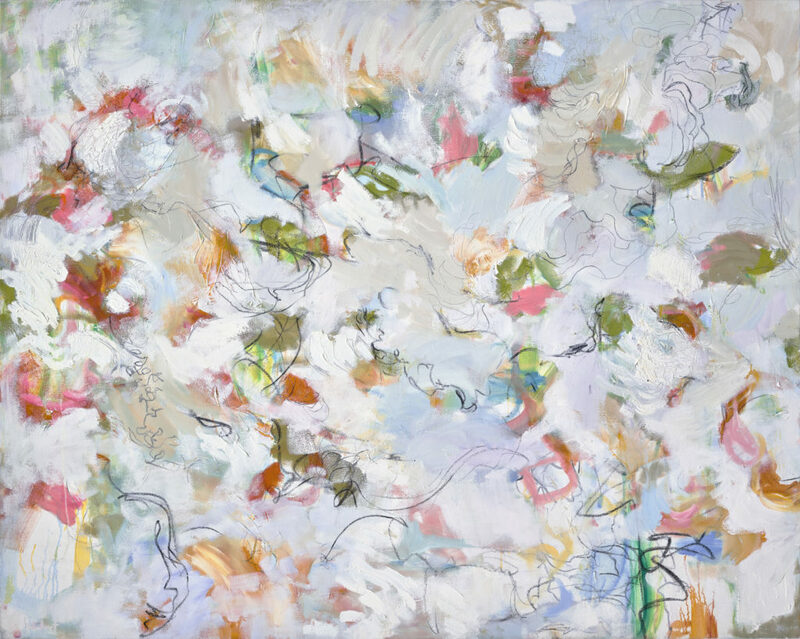 Her paintings have been acquired by Mount Auburn Hospital, Cape Cod Hospital, and Danvers Bank, and are included in the deCordova Museum Corporate Art Loan Program.